Ah good ol' SimCity 3000. I somehow actually prefer this version to the others. It's more streamlined than SimCity 2000 or SimCity 4 and doesn't suffer the performance issues of the latter either (although at the time, I admittedly didn't like the fact it was a simplified version of SimCity 2000 - and where were the arcologies?). What really made the game shine was the fact that a good portion of the tracks were jazz and I those tracks still linger in my mind to this day. Consequently, it was a no-brainer to acquire the soundtrack, but is it a worthwhile purchase? The tracks on this album are pretty much split into two genres - jazz and electronica. Firstly, the jazz tracks are pretty much all good and some are so professionally done, you'd be gobsmacked to know it was from a computer game without prior knowledge. In fact, I remember my Dad coming in once while I was playing SimCity 3000 and commenting "Is that Miles Davis?". That's how good it is. "Updown Town" is a particularly good example of this. The track was so good that they even used it several years later in a trailer for SimCity Societies. The other two great jazz tracks on this album are the very jazzy "Central Park Sunday" and "South Bridge" which has an awesome trumpet solo. However, my favourite track on this album isn't one of the jazz tracks (even though they are amongst the better ones) but "Window Washer's Dream". Imagining a humble window washer with the backdrop of a large, bustling metropolis, is analagous to the place of humans in the Universe. It evokes emotions of feeling very small in the grand scheme of things, although the track almost sounds like the ticking of a clock as well, which could be interpreted that you may seem to be a small part but you're a very important cog in this giant World Machine (to borrow a term from my favourite band, Level 42). Telstra are known to not be cheap and the same is with their music - while it won't break the bank ($15) you can do much cheaper with other web stores overseas... not to mention you can get it free off the official website! Should've Google searched earlier! It's about the normal length of a CD album with 14 tracks. For those interested in obtaining this album there are a few stores that sell EA Games Soundtracks - in Australia, your best bet would be Big Pond Music. Of course, you don't even need to buy the soundtrack since it's available for free off the official SimCity website! ARGH! Oh well, check it out if you're interested :). 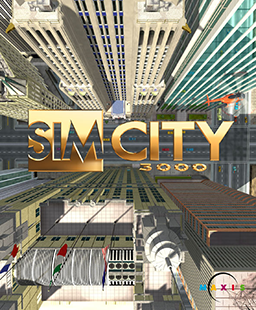 EDIT (15/12/2013): The SimCity 3000 Soundtrack is no longer available on either BigPond Music or from the official SimCity 3000 website (which now appears extinct). However, one user is kindly distributing a copy of the free soundtrack here.